The Collapsible Silicone Container with Lid is perfect for taking snacks on the go, using in lunch boxes, or storing your leftovers. Made from food-grade silicone, it can be used with both foods and beverages. 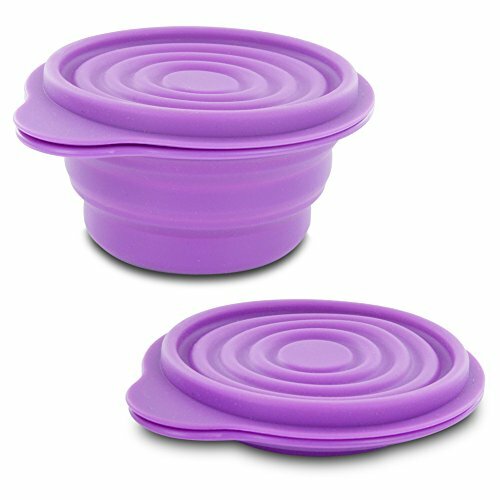 The lid helps to keep the contents secure in the bowl, and when you're all down eating, the bowl conveniently collapses into a flat ring for easy storage. The bowl is both microwave and dishwasher safe and is the perfect reusable bowl to have in any kitchen.